Colour+: Cross-hatching? Pointillism? Contour Lines? Every so often I like to try out a new colouring technique or product. I know some of you try out new techniques and colour palettes with every colouring! 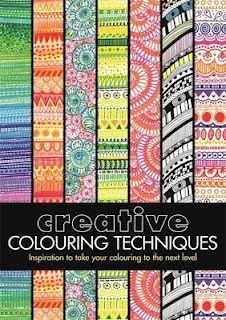 This is a book that will never be hiding at the back of the colouring bookshelf because you'll reach for it and dip into it often. Here is my video flip through. I've focused on the information pages rather than the images. 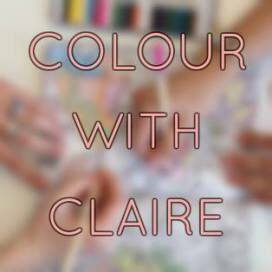 Who will love it - those who want to learn more about colouring technique, those who want to practise on some well drawn images and those who like colouring patterns and cultural images. - different colouring techniques like shading, cross-hatching (which interests me), contours. - how to use these techniques to both doodle and colour various ethnic patterns. It contains some of the clearest information on the colour wheel that I've come across. 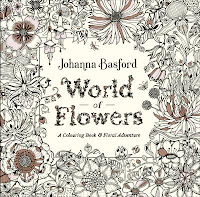 There will be something for even advanced colorers to learn although the book is aimed at the average colourer who wants to understand more about colour and pattern. Each short chapter is introduced with succinct, clearly-worded instructions and great examples. Then there are five quite varied images for you to practise on. Every image has a border so images aren't lost into the spine. The mix of subject matter in the images is very good. They go from geometric patterns to creatures and landscapes and even jewels. I really like the jewel page in the light and shade chapter. The contouring chapter is something new for me to try out too. Line length throughout is medium. Artists Chellie Carroll and Felicity French are already known to us through the "Art Therapy" and "I Heart" range of books and their drawing styles complement each other well. The book opens with a useful contents page and an introduction to various types of colouring pencils and pens. There follows a very clear explanation of colour theory. The chapters then follow on, working through different colours and palettes. Then there are the technique chapters and the book ends with chapters on how to best colour Aztec, Scandinavian, Oriental, Indian and African images. Despite being quite a thick book, the pages lie flat reasonably well. It is about A4 size so the images aren't too daunting or time-consuming to colour. Water based pens should be oaky but you'd need to test them on an inconspicuous spot first.